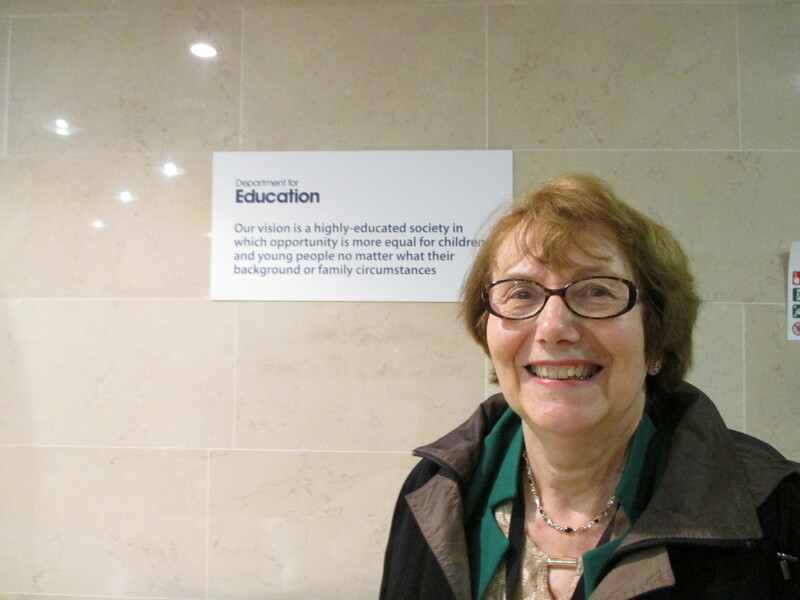 As readers of this website will know, Annette Brooke has been an unfailing supporter of our campaign, and we are incredibly grateful for all the work she has done on behalf of summer born children. “I shall be retiring at this General Election after 14 years of being an MP. “Throughout that time I have been arguing that an individual child’s development must be understood and considered when setting policy. This is particularly important when looking at admissions policies and classroom practices for summer born children. At the time of writing I am optimistic that the recent Education Select Committee hearing will result in an understanding that summer born children may have needs relating to their level of development which are not ‘special needs’ and that such labelling can damage a child’s education over years. Certainly a greater understanding of the issues confronting a ‘barely’ 4 year old when placed in a class with other children who can be up to 364 days older would be helpful. However, I believe firmly that parents of summer borns should have a genuine choice for their child and for that child to be able to start school in reception year aged 5.